This is one subscription that doesn't require too much thought when you place your order! You just have to choose one of their two wine clubs to join, then you get 12 expertly picked wines every 3 months. This allows you to sip on something tasty at least once a week, and it's a no-obligation membership so you can cancel at anytime. How can you go wrong? They also offer a wide selection of reds, whites, and champagnes that you can purchase directly from their online store in 1-, 6-, or 12-bottle cases. 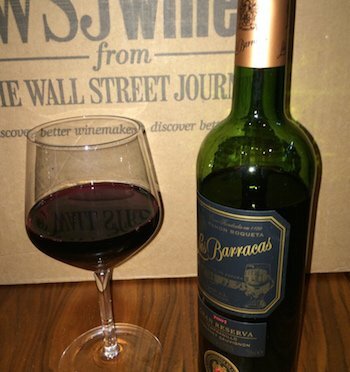 WSJwine offers two outstanding options for quarterly wine shipments. The Discovery Club features 15 expertly selected wines from California and around the world. Select between reds, whites, and mixed. Plus, for your first shipment they throw in a lever action corkscrew set (valued at $49.99) all for the low price of $69.99! Even with $19.99 shipping added on, that's still only $6.00 a bottle for your first shipment. Ongoing shipments are billed at the regular price of $149.99 + $19.99 shipping, so that averages about $14/bottle and you're still saving at least 20% off retail prices. Customers looking for rarer wines to add to their collection should check out the WSJwine Premier Club. It's a step up in quality, and you have the opportunity to customize your cases so you get more of what you like. Love Italian reds? They'll find the best ones to send your way. This exclusive membership is $239.99 per shipment, and you get 12 exceptional wines delivered every 12 weeks. Shipping is free, so that works out to $20 per bottle per week. Plus, when you sign up, you'll get 3 bonus bottles of a 98-point Super Tuscan with your first shipment. Receiving a shipment from the WSJwine Discovery Club is a little bit like getting a Christmas stocking full of candy when you're a kid. Where does one begin? WSJwine works directly with vineyards to obtain high quality wines you won't find at your local wine store. Many of their selections come from small vineyards where wine makers are truly passionate about what they do. They also include tasting notes, free expert advice and personalized recommendations with every wine club shipment.